If you've noticed your voice doesn't sound quite like it used to, it's probably not your imagination. It's called presbyphonia. 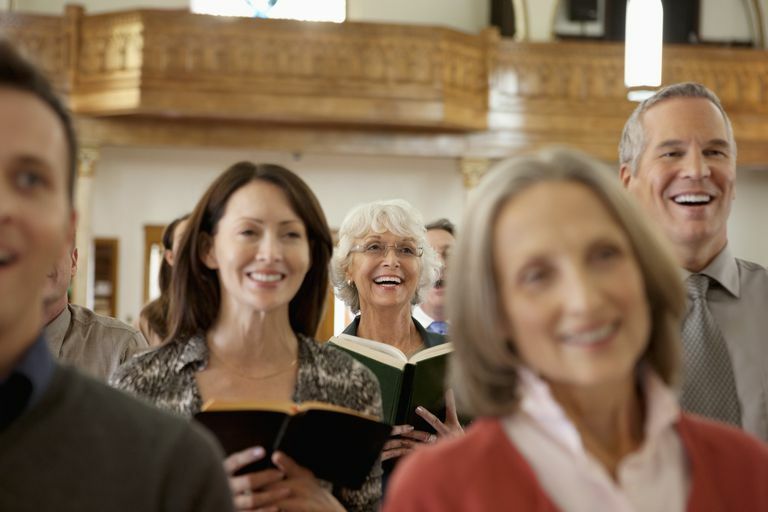 Thanks to natural changes within the larynx or voice box that occur as part of the aging process, your voice can take quite a different character as you get older. Your voice sounds thinner. According to Lee Akst, director of the Johns Hopkins Voice Center, the scientific term for this is vocal asthenia, and it describes a less rich, less resonant sound that is a common complaint among older adults. As the multi-layered vocal cords or folds within the larynx suffer muscle loss over time, they often become thinner and less pliable. Because they're not vibrating as effectively or tightly together, the resulting voice doesn't have the "oomph" it used to deliver. Your voice sounds rougher. Imagine your larynx as a musical wind instrument. It requires effective vibration for a beautiful clear sound, and anything that interferes with the necessary closure of the vocal folds together will erode the quality of the sound you produce. As vocal cords get more stiff with age, along with other insults to the larynx like reflux or smoking, they may become bowed and curve inward rather than vibrating tightly together. The net result can be a scratchy, hoarse voice. Your voice is less loud. Aging affects projection and volume of the voice as well. In addition, while many older adults exercise regularly and maintain strong lung capacity, those with compromised respiratory systems may find their voices are quieter because they simply don't have the breath support to maintain their former force and volume. Your pitch changes. According to Clark Rosen, professor of otolaryngology at the University of Pittsburgh and director of the University's Voice Center, a woman's pitch typically drops over time, whereas a man's pitch actually rises slightly with age. "We don't know exactly why this occurs," says Rosen. "Like other vocal shifts, changes in pitch may also be due to atrophy of the muscles in the vocal folds, and in women, it may be thanks in part to hormonal changes leading up to and past menopause. We do know there's quite a consistent pitch change by gender." You have vocal fatigue. If your voice starts strong but fades throughout the day, vocal fatigue may be to blame. "Like any fatigue, fatigue of the voice is use-related," Lee Akst explains. "If your voice gets tired, it tends to feel worse in the evening compared with earlier in the day. That's when people feel it; dinner is usually a more social meal, and having to push your voice to be heard can leave you feeling tired and isolated." Indeed, people who have difficulty being heard in social situations may cope by speaking less, putting them at risk of withdrawal and depression. Akst points out that more research has been conducted on the effects of hearing loss on quality of life and even cognitive performance. "We don't know if the same isolating effects occur as a result of voice problems," he observes. "But it takes two to tango—one speaking, one listening. Among people who just can't get loud or be heard, it's likely to manifest more in social situations than when you're staying home." How Common Are Age-Related Voice Problems? The University of Pittsburgh's Clark Rosen says there's no clear data about the prevalence of voice issues among older people. "This is a relatively new disorder," he says. "I started practicing as an otolaryngologist about 20 years ago, and I didn't see older patients with voice complaints for the first five or ten years. We didn't really discuss voice problems related to aging; now I see these patients all day long." Rosen says we don't know enough about the aging process yet to nail down an age-specific prevention strategy, though practicing good so-called vocal hygiene will help you preserve your voice. "Drink plenty of water, avoid screaming and yelling, and avoid smoking. Don't abuse your voice, especially when it's compromised, such as during a cold or flu when your vocal cords are already swollen." Both Rosen and Akst agree: communication is a basic human need. If you're hoarse for more than two weeks—especially without a trigger like a cold or flu or if you are a long-time smoker—seek out the advice of your doctor since you may be at risk of a more serious problem like vocal cord nodules or even laryngeal cancer. More minor issues like fatigue and diminished loudness can be improved through voice therapy, in which a speech specialist can help you use your voice more effectively and with less effort.